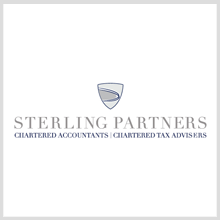 Sterling Partners is a progressive UK firm of Chartered Accountants and Chartered Tax Advisers that provide a wide range of accounting, taxation and associated financial services to clients across the globe. We are members of both the Institute of Chartered Accountants in England and Wales and the Chartered Institute of Taxation. You can be confident that you are receiving high quality advice from recognised, fully qualified professionals in accounting and taxation. We are also registered auditors and professional business consultants, which means we can offer informed advice on a wide range of business and accounting issues.